Sorry for the extended absence from my blog...thank you to those who have sent emails of concern as to why I haven't been posting. 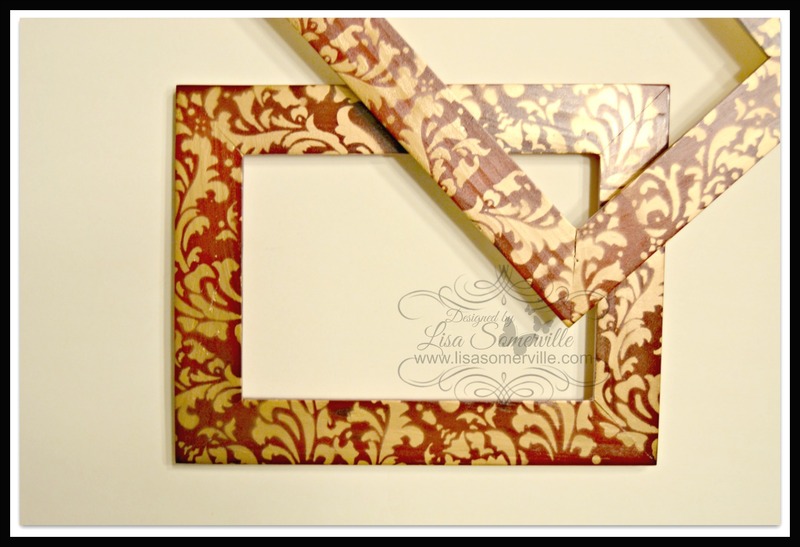 Today, I'm sharing a quick and easy way to repurpose picture frames using the eBrush. 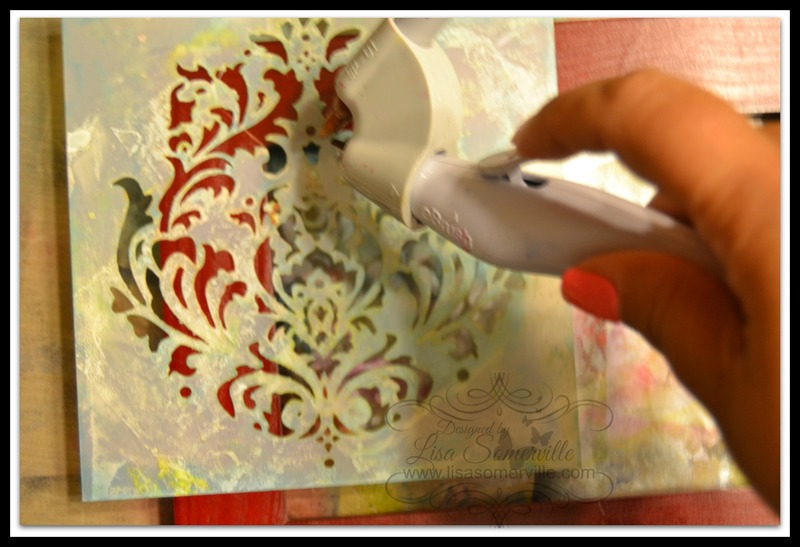 Working on a Non Stick Craft Sheet, lightly spray the stencil with Krylon Easy-Tack. 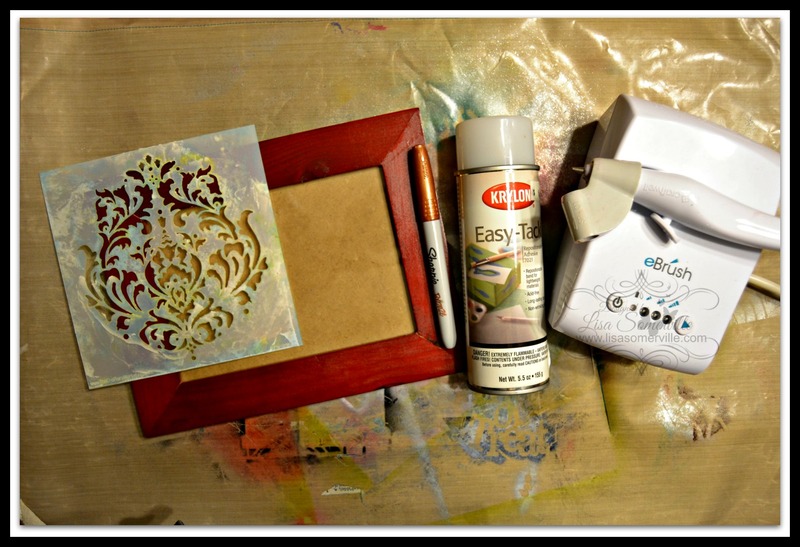 This will help keep the stencil in place on your frame and stop and over spray from getting under the stencil area. 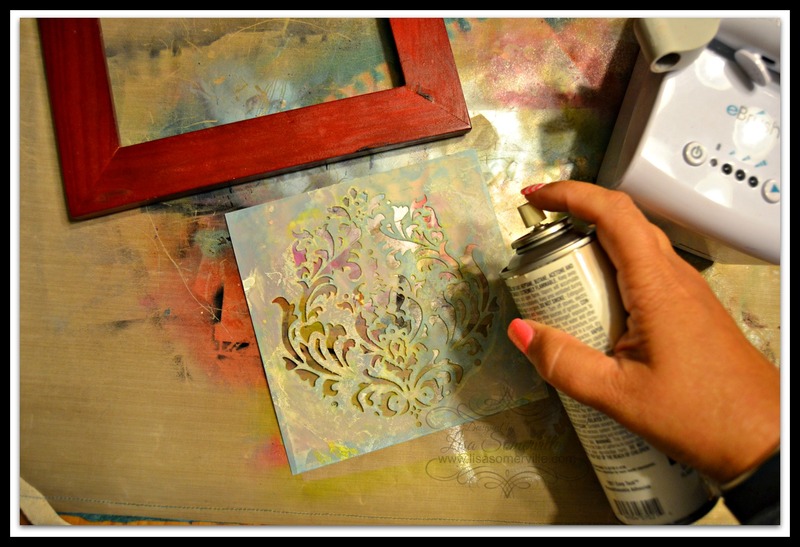 Using the eBrush and Metallic Marker, apply color to the stencil. Before removing the stencil, give the marker a chance to set. 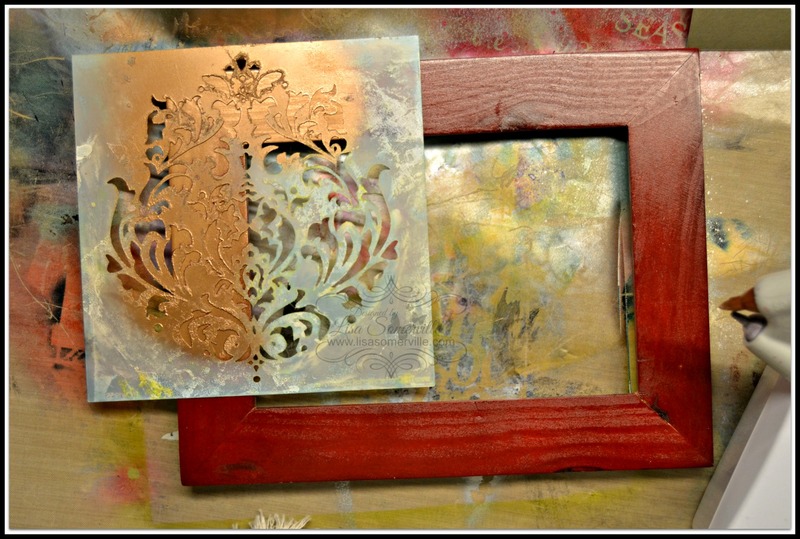 Move stencil and repeat until frame is covered as desired. Pretty amazing! That plain ol' frame went to a "wowzer"! Love it. Now that I looked at the directions this is even more cool. Your frame looks amazing, love the gold on red.